The Social Security trust fund will be exhausted by 2037. This is according to one estimate provided by the Social Security Administration. 1) Start saving for your retirement early. Start now. 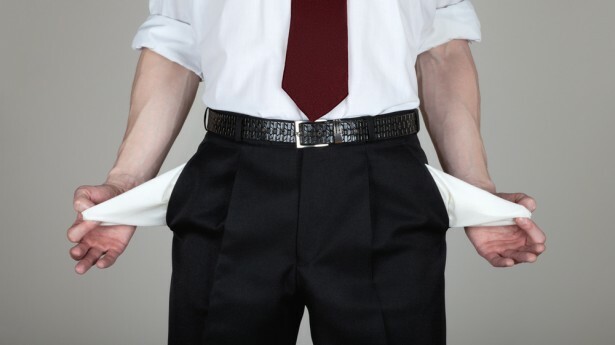 There will always be reasons that you can use to justify putting it off (e.g., too many bills to pay; waiting until you are more financially secure), but putting it off will come at a large cost to you. For example, take Bill and his friend Bob. Both are young men with a lot of bills, but Bill’s family taught him to start saving for his retirement as soon as he could. Both got hired to full-time jobs when they were 24 years old. Bill looked at his expenses, and realized he could contribute $2,000 a year to his retirement at the end of every year. He invested conservatively, and earned a steady 5% return without taxes every year. At the age of 65, he had just under $270,000 saved. Bob, on the other hand, did not set aside any money in his 20s or 30s. It took Bob 20 years to feel financially secure enough to start contributing to his retirement account. Bob, now 44 years old, wanted to catch up with Bill and decided to put $7,000 a year into his retirement account at the end of every year. Bob invested the same as Bill, and earned the same steady 5% return without taxes every year. At the age of 65, he had just over $260,000 saved. As you can see, in order to have between $260,000 and $270,000 in their retirement accounts, Bill only had to contribute $82,000 while Bob had to contribute $147,000 ($65,000 more). This is all because Bill started saving at an early age. That is the power of compounding investment returns. There are different features and tax incentives attached to each of these types of retirement accounts, but they share one very important feature. All the earnings grow tax-free. Bob and Bill both had their money invested in a qualified retirement account, so all of the earnings grew tax-free. If they decided to put their retirement savings in a normal investment account, they each would have had far less in their retirement accounts because they would have a significant amount taken out each year in taxes. It is very rare for the government to allow you to invest your money without taxing it for decades, if ever. These types of retirement accounts have another significant tax incentive. Contributions to 401(k)s and 403(b)s reduce the amount of taxable wages you report on your tax return. For example, if you earned $100,000 in a year, and you contributed $5,000 to your 401(k), your W-2 would only show $95,000 of gross wages. 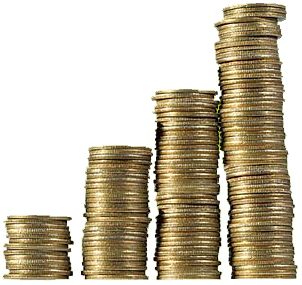 Contributions to a Traditional IRA are deductible for the year of the contribution. Thus, if you earned $100,000 during the year and contributed $5,000 to your Traditional IRA, you would take a deduction on your tax return for $5,000, leaving you with gross income of $95,000. Assuming you are in a 25% federal tax bracket, you would save $1,250 in federal taxes for making a $5,000 contribution to your own retirement. Distributions from a Roth IRA are tax-free. This is delayed gratification, but if you expect to be in a higher income tax bracket when you retire or you think that tax rates will go up, you can choose to put your money into a Roth IRA and let it grow tax-free and then eventually take it out of your retirement account tax-free. 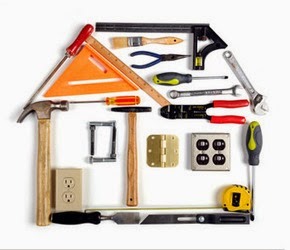 There are a number of different types of qualified retirement plans. Please talk to a CPA and a financial adviser to find one that best suits your goals. Small business owners need every tax credit that they can get. 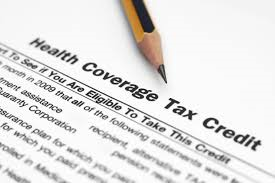 One tax credit that you are likely entitled to but may not know about is the Small Business Health Insurance Premiums tax credit. For tax years 2010 through 2013, the federal income tax credit was worth a maximum 35% of premiums paid by small business employers. Starting in 2014, the federal income tax credit is worth a maximum 50% of premiums paid by small business employers. Starting in 2014, the premiums must be paid on a qualified health plan offered through a Small Business Health Options Program (SHOP) Marketplace. In California, there are, currently, 6 health insurance companies that are available for year-round enrollment in the SHOP program. To view the list of qualifying health insurance companies and the available plans, click here. There must be fewer than 25 full-time equivalent employees. It is important to understand that this does not mean less than 25 employees. The number of full-time equivalent employees is a calculated figure that is determined by taking the total number of hours worked by all non-owner employees and dividing that number by 2,080. The resulting figure is then rounded down to the nearest whole number. For example, if you had 13 employees and they all worked for a total of 1,500 hours during the year, you would have 9 full-time equivalent employees (13 x 1,500 = 19,500; 19,500 / 2,080 = 9.38; 9.38 rounded down is 9). The average wages must be less than $50,000. To determine this number, you divide the total wages of the non-owner employees by the number of full-time equivalent employees. For example, if you paid your employees a total of $390,000 during the year, you would have average wages per full-time equivalent employee of $43,333 ($390,000 / 9). The health insurance premiums must be paid through a qualifying arrangement. To be considered a “qualifying arrangement”, the employer must pay at least 50% of the single-coverage insurance for its employees. The IRS has ruled that the employer does not have to pay for the premiums covering the employee’s spouse or children. Generally, an employer must pay a uniform percentage of the premium cost for each enrolled employee’s health insurance coverage. However, exceptions exist for businesses who utilize either composite billing (uniform premiums paid rather than a uniform percentage) or list billing (differences in premiums exist for each employee based upon age or other factors). The maximum credit is for 50% of the premiums paid starting in 2014 (35% in prior years). However, it may be less than 50% if: 1) there are more than 10 full-time equivalent employees; 2) the average wages exceeds $25,000; or 3) actual health insurance premiums exceed average premiums paid for health coverage in the employer’s area. Do you care what happens to your assets after you die? I suspect that it is very important to you. You may want to make sure that your spouse is provided for, or that your children will be the ones that inherit your property. What you probably do not want is to pay a penny more in estate taxes than you have to. Everyone’s situation is different, and an estate planning tool that may work for someone else may not work for you. 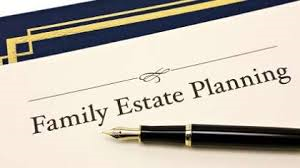 Therefore, it is very important that you work closely with an estate planning attorney and a CPA to come up with a plan that will best fit your needs. We previously discussed one estate planning tool, the portability election. Today, we will be going over the basics of the Qualified Terminal Interest Property (QTIP) trust. What are the goals of a QTIP Trust? While there are potential estate tax minimization benefits to this type of trust, the primary benefit to making the QTIP election is to maintain control of the assets after death. Specifically, it allows you to provide for your spouse during the remainder of his/her life, but ensure that ultimately the assets will go to the beneficiaries that you choose. Because of this, QTIP trusts are very popular in situations where one spouse has children from a different relationship or where remarriage after the death of the first spouse is likely. How does the QTIP Trust work? Under the terms of the QTIP trust, all of the income earned by the assets placed in the trust goes to the surviving spouse. In addition, most QTIP Trusts allow for the trustee to give the surviving spouse some of the trust principal (the assets) in addition to the income if it serves a specific purpose. For example, if there is a medical emergency and the surviving spouse does not have enough money to pay for treatment, the trustee may be allowed by the trust to take assets out of the trust to pay the medical bill. Upon the death of the surviving spouse, all of the trust assets will go to the beneficiaries named by the first to die (the spouse who originally funded the QTIP trust). What are the estate tax benefits? The assets placed into a QTIP trust qualify for the unlimited marital estate tax deduction. This means that they will not be subject to the estate tax at the time of the first spouse to die’s death. However, these assets will be included in the surviving spouse’s estate and subject to the estate tax at the surviving spouse’s death. If the portability election is made at the time of the first spouse to die’s death, the surviving spouse will be able to use his/her prior deceased spouse’s unused exclusion amount in addition to his/her own exclusion. Congress radically changed the estate planning landscape in 2010 when it introduced the portability election, and it is time for you to learn how to take advantage of it. Prior to 2010, the estate tax regime ignored the reality that married couples think of themselves as a single economic unit, and instead treated them as individuals. Every individual was entitled to a basic exclusion amount (an amount of assets the value of which would not be subject to gift or estate taxes) which could be used by transferring their assets to any individual other than to a spouse (transfers to spouses were already excluded through the marital deduction). This structure placed individuals in the difficult position of deciding how much of their assets to leave to their spouses for their support and well-being, and how much to leave to their children in order to take advantage of the basic exclusion amount. This was a “use it or lose it” system because any unused portion of the basic exclusion amount would disappear. This all changed in 2010 with the creation of the portability election. If a valid portability election is made, a spouse may take the unused portion of their last deceased spouse’s basic exclusion amount and add it to their own. For example, Jacob and Sarah are a married couple. 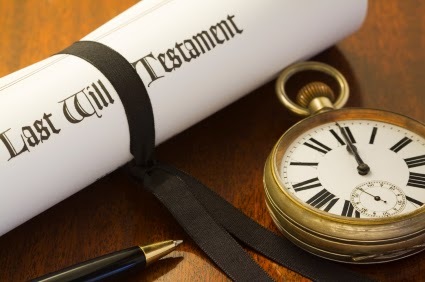 Jacob dies in 2016 without having made any taxable gifts in his life, and his will directed his executor to leave his entire estate to his wife and to make the portability election. 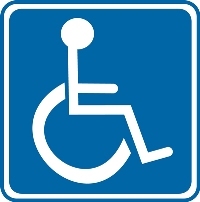 This allows Sarah to inherit his $5.45 million basic exclusion and add it to her own basic exclusion. Sarah would then be able to make gifts of up to $10.9 million in 2016 to her children without having to pay gift or estate taxes. How is the Portability Election made? The portability election is made by filing Form 706 (Estate Tax Return) within the applicable time limits after the the first spouse’s death. The election is made by the first spouse to die’s estate. After the Portability Election is made, what is the surviving spouse’s unused exclusion amount? Each spouse, who is an American citizen, has a basic exclusion amount. In 2016 that exclusion amount is $5.45 million, and it is indexed for inflation. This is the amount of money and other assets that can be transferred to others (through gifts or inheritance) before the transfers will be subject to tax. Therefore, when you make taxable gifts your remaining exclusion amount decreases (it is being used). At the death of the first spouse, if the portability election, that spouse’s unused exclusion amount will be transferred to the surviving spouse. So, going back to our previous example, because Jacob had an unused exclusion amount of $5.45 million and his estate made the portability election, Sarah then had an unused exclusion amount of $10.9 million. What happens is the surviving spouse remarries? One important aspect of the portability election that we haven’t yet discussed is that the election only applies for a surviving spouse’s last deceased spouse. If Sarah remarries after Jacob’s death, does she lose her ability to use his $5.45 exclusion? No. Jacob is still her last deceased spouse, so she is still able to use his exclusion amount. On the other hand, if Sarah outlives her second husband then she would lose her ability to use Jacob’s exclusion. However, her second husband’s estate could make the portability election and she would be able to use his unused exclusion. The portability election is a great estate planning tool, but it should be used as part of a comprehensive estate plan. We recommend that you talk to an experienced estate planning attorney to learn more about the portability election and other estate planning tools that may benefit your specific situation.